What is the Perfect Solution Fallacy? Dismissing a valid solution because it does not solve 100% of existing problems. Perfectionists will tear apart a value proposition. 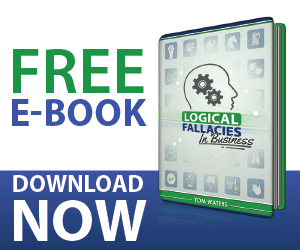 Competitors will leverage this fallacy to negate your claims. Overcome this type of fallacy by rooting your audience in realism from the beginning. Set proper expectations of relative effectiveness and focus on what sets your brand apart. Fallacy -Yeah but if I’m going to trust you over my local network, I cannot leave anything to chance that I will not be able to access my files. So far, I’ve had 100% reliability rate and if you can’t match that, we cannot move forward.